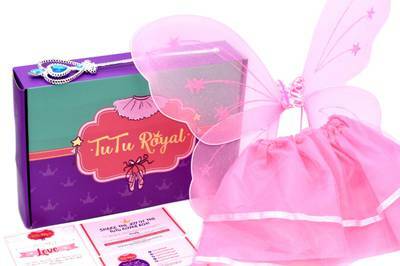 TuTu-Royal is currently sold out! 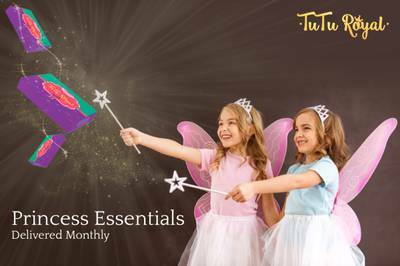 Enter your email address below to receive a notification when TuTu-Royal starts accepting new sign-ups! 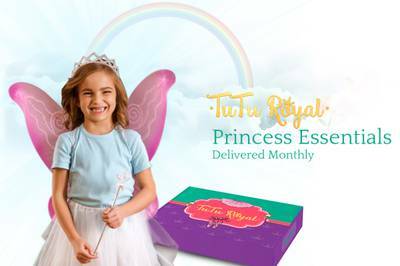 Enter your email address below to receive a notification when TuTu-Royal is accepting new sign-ups again. 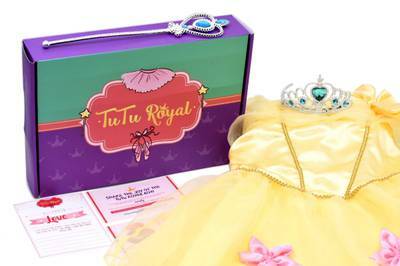 TuTu Royal is a monthly delivery of princess dresses, tutu’s, tiaras and tools of STEM empowerment. We ship on the 15th of every month!!! 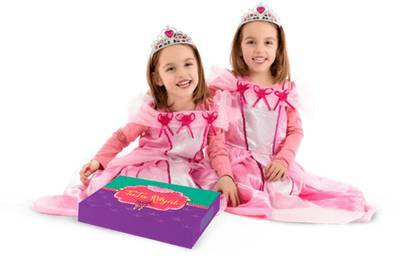 Each month queens in our palace curate special boxes to remind our princesses of their royal birthright - to be smart and beautiful while free from judgment. 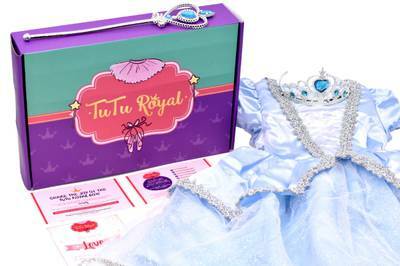 TuTu Royal is a monthly delivery of royal essentials, including princess dresses, tutu’s, tiaras, wands, and tools of STEM empowerment. I ordered a gift subscription for my 6 year old's birthday last year and she anxiously awaited every package. She is tall and slender for her age, so I ordered a next size up, and I am glad I did. The dresses were lovely and well-made and a couple found way into regular rotation as school dresses! The books were fun and the cards educational, positive, and delightful conversations starters. Headbands and a cookie were the icing on the Royal cake. 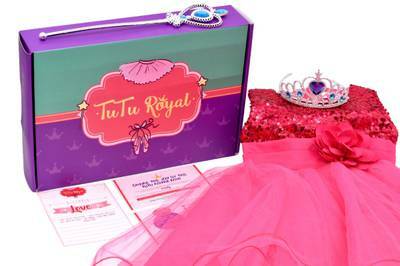 Plus, Tu-Tu Royal will donate a box to a girl at an adoption agency. What's NOT to love? 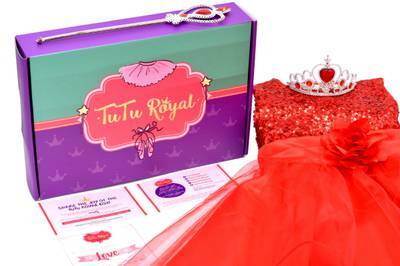 I highly recommend this box for the princess in your life. My daughter loved getting the package. She was so excited. But when we put on the dress it was very tight in the arms and we had to struggle to get it on. But my kid is built like Beth Chapman from Dog the bounty hunter. Also, the jewel came off the dress and the gold thing that holds the jewel but all things that can be fixed with hot glue.